Welcome to book your pass or ticket to the 17th edition of the biggest Salsa, Bachata and Kizomba Congress in Sweden! Scroll down and select your ticket, fill in your name and address and pay with Credit Card and Swish. 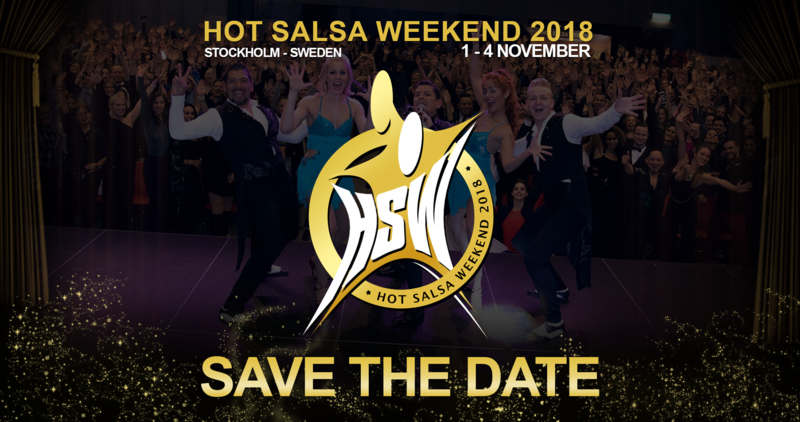 Welcome to Hot Salsa Weekend 2018 :-)! ATTENTION! The online registration for Hot Salsa Weekend is now closed! You can buy all tickets at the door, welcome!